Creating integrated conflict management systems (ICMS) in an organization is a key factor in that organization’s sustained success. An ICMS is an attempt to coordinate the various parts of an organization’s efforts to deal with workplace issues. Often such parts (such as HR, supervisors, Employee Assistance Programs, etc) work in their own world with little communications with one another. This leads to a disjointed situation to the detriment of both employees and management. Referrals become commonplace. Instead of people getting frustrated as they go from one office or person to another, all the parts of the ICMS are familiar with the other parts, and so if one member of the ICMS can’t help a situation they can easily refer employees to another office. How does this happen so much easier? 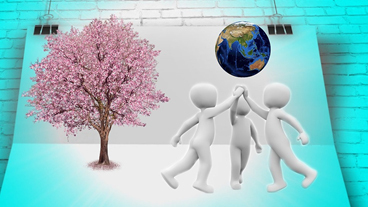 Because the ICMS members are meeting with each other on a regular basis and know what the others can offer, and also trust that their referral to another known ICMS member is going to help. Creating “zero barriers” to anyone coming forward with a problem or issue. Top-notch organizations encourage employees to voice problems that they see, concerns that they have, and suggestions they can make. With an ICMS any employee can talk to any member of the ICMS and get the help they are looking for. 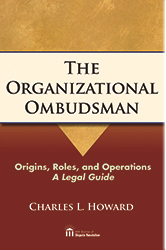 Having an Organizational Ombudsman (OO) as part of the ICMS is especially helpful in creating zero barriers. An OO, because of their promise of total confidentiality, is a person many employees will feel safe talking to even with sensitive or embarrassing information. Identifying trends: When there are regular ICMS meetings, trends within the organization often emerge during those discussions. Generally, these surface far before senior leadership finds out about them. This helps to address issues in their infancy before they become much more difficult to manage. As stated above, the OO is a key person in an ICMS. An OO following the International Ombudsman Association’s Code of Ethics is a confidential, informal, neutral and independent source of conflict resolution. Both employees and managers can talk to the OO off-the-record. The OO will listen to them, help them clarify their situation and their underlying needs and interests, and help them brainstorm options. The OO has direct access to top leadership in the organization. While he or she will never reveal to leadership the names of who contacts them, the OO will speak to them about patterns they are hearing about and give leadership the opportunity to address those trends. The OO can also do shuttle diplomacy between two employees or an employee and their supervisor to help them resolve issues. She or he can act as a mediator, facilitate group problem solving, offer training and conflict coaching.